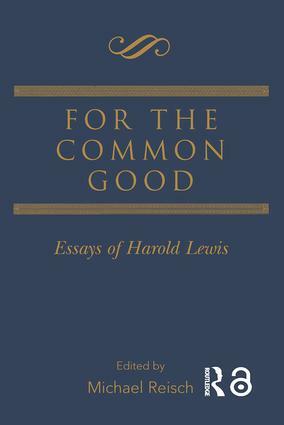 For the Common Good is an anthology of selected essays by Dr. Harold Lewis, one of the intellectual leaders of the social work profession. Social work literature often reflects powerful ahistorical tendencies which, in recent years, have produced analyses of social issues that lack awareness of both the contemporary environment and the historical forces that shaped it. Lewis' insights into the nature and purpose of social work help fill some of these historical and conceptual gaps, and present a clearer picture of social work's true place in our society. 17. "The Intellectual in the Practical"